Now, thanks to Rupert of the rupertarzeian blog, and fellow London Fountain Pen Club member I have it once more to try and to see if it will stay on my list. In a cover note Rupert gave me he pointed out this was his daily EDC for several years and so has seen a fair bit of writing. Initial views are it is a smart pen. This version is the ‘amber’ one, though I would consider it to be more like a marbled brown, almost like the colour of a crusty loaf. Certainly on the Mr. Pen website it appears to be darker in colour. 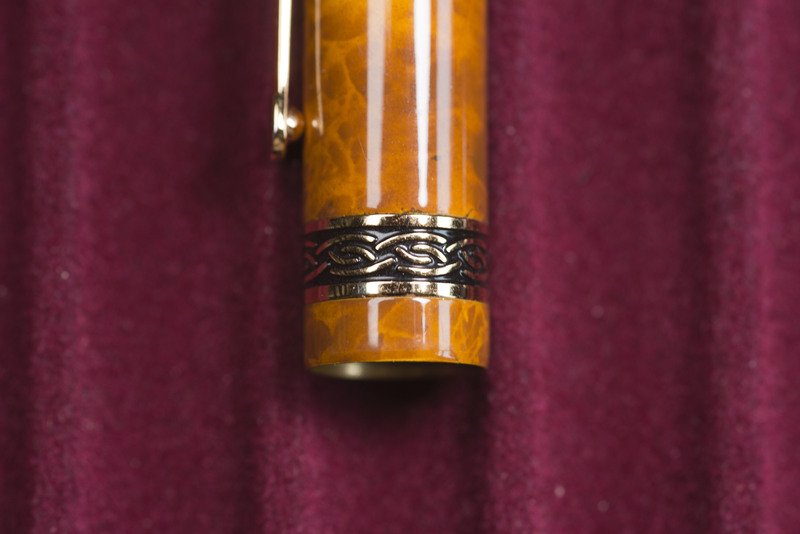 It has a rather classical look, initially seeming smaller than it is, almost as if it’s a pen from the 1950s or earlier (I’ve compared it off camera with an Esterbrook J and a Croxley and both are smaller by close to an inch). The colour and pattern, I think, really help here and I wonder of the plain black version would be more anonymous. The textured band around the lower part of the cap is also different from much we see out there in the market. A second thing you notice is its weight. Pick up the pen and you can feel the heft. The cap and barrel are brass lined and give a feeling of real solidity. 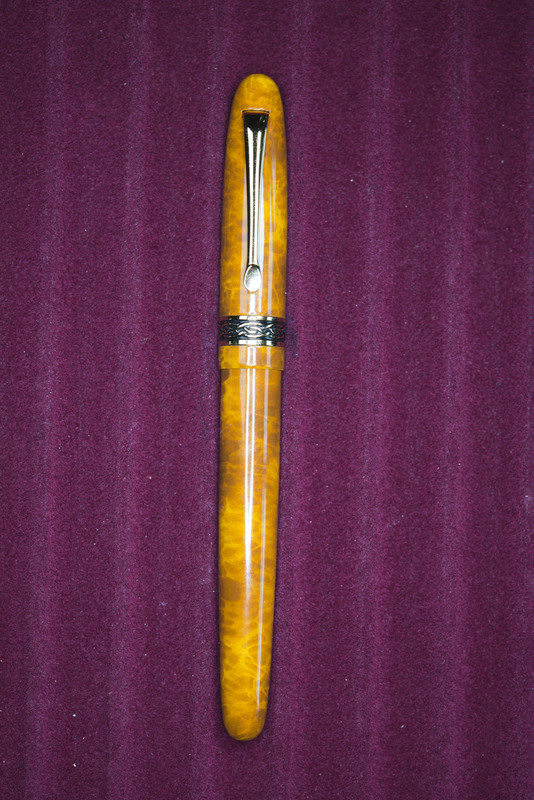 Along with the lacquering means this is a pen that can take punishment and abuse. Size wise things get interesting. 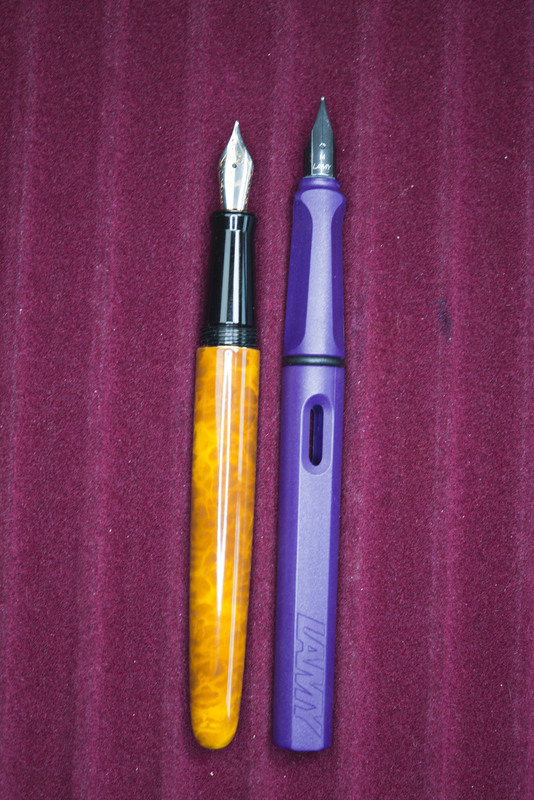 By itself it looks to be a smaller pen, yet it is the same length capped as a Lamy Safari/Al-Star, which in itself is actually on the longer side. Uncapped, however, and the pen is shorter, which it also feels in the hand, though it still feels comfortable to use without capping. It does post securely, at which point it also becomes rather long and also back weighted. The cap is plastic lined so there is no risk of scratching. It also, as mentioned above, has an interesting ring towards the opening. This is brass with black lacquer (?) filling and emphasising the pattern. It is textured and a point of interest. The clip is sprung and fixed within the cap. It is quite stiff but works well, with a little dimple on the inner side creating a gap and allowing it to easily slide over a pocket edge. It does hold well, though Rupert did let me know that one time the barrel did unscrew and drop out while the pen was in his pocket. I think he was unlucky as the barrel feels secure when capped and requires a little initial pressure to open in. This requires just one full turn for those interested. The section angles in from the threads by about 20 degrees until close to the nib, at which point it angles out again. 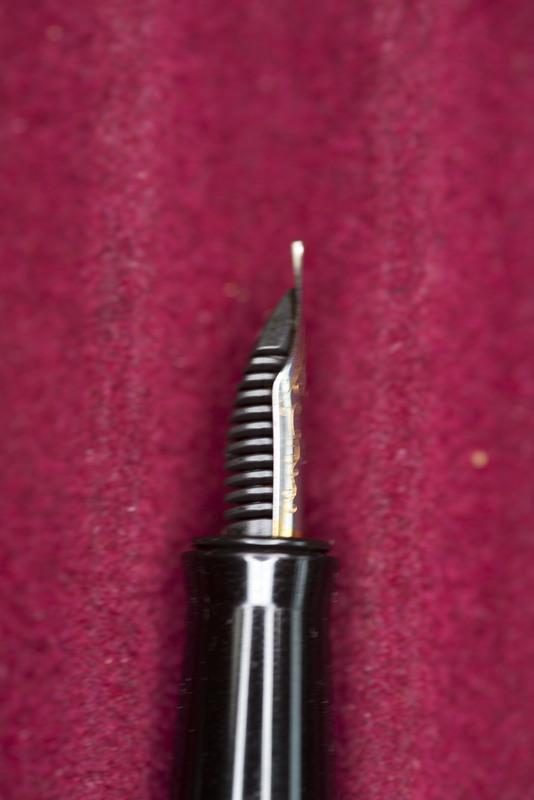 The edge at the nib and by the treads is about the same width. The threads are unobtrusive and when writing with the pen I do not feel them, though I do notice the slight step up to the barrel. It is not a sharp edge but I do find it slightly uncomfortable, which is a shame as the rest of the section works well for me. As can be seen I actually hold this pen slightly further back – possibly due to the balance point. If held further forwards the step can not be felt, but at the same time I find the writing angle to be a little high. The nib is a size #5 medium steel unit from JoWo. It should be two tone, but due to being well kept, with lots of ink changes and resultant cleaning and good pen hygiene, most of the colour has worn off. The pen writes well. It is stiff and also has some tooth, but this should not to be confused with scratchiness. 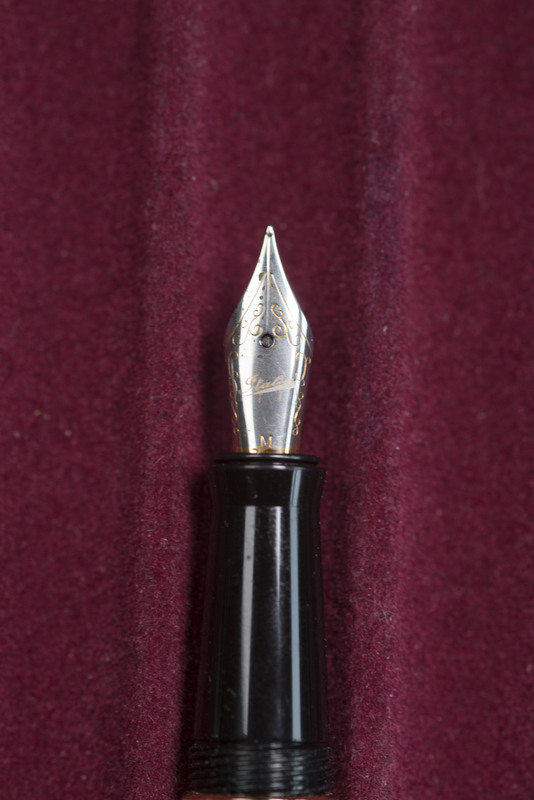 It is a well tuned nib and I doubt even with its history much has changed since the pen was first inked. It does have one problem though, and it is an annoying one for me, also one I can not see being down to wear and age. 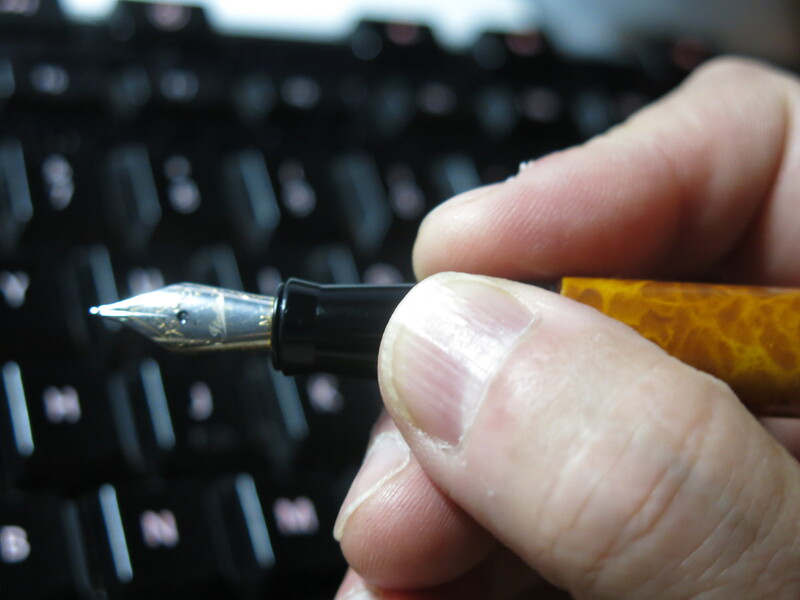 While the nib is juicy when just uncapped, even after around 10-20 seconds of resting, the nib starts to dry up. Get the ink flowing again and all is fine once more. 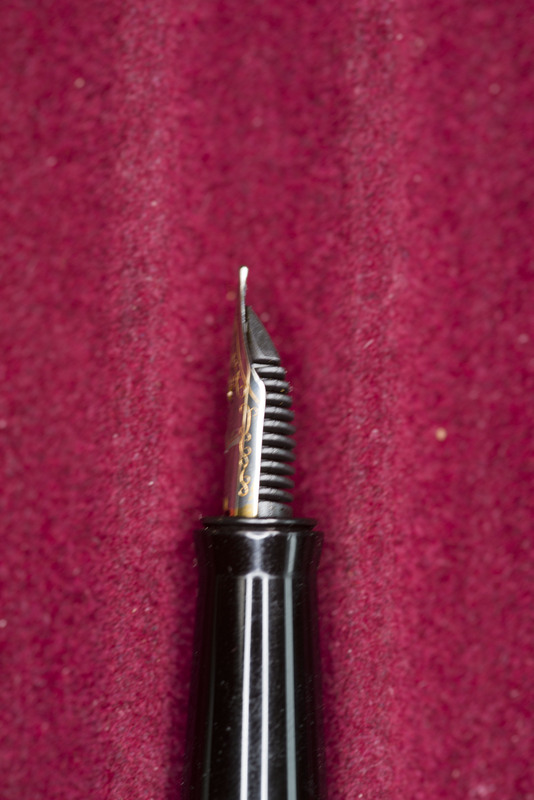 Leave the pen lying uncapped for a minute or two and I found you had to prime the nib, which is why the converter is half open in the photo higher up on this page. The nib and feed does unscrew from the section, making cleaning easy. Also additional nib/feed units can be purchased for £17.40 from the Mr. Pen website. 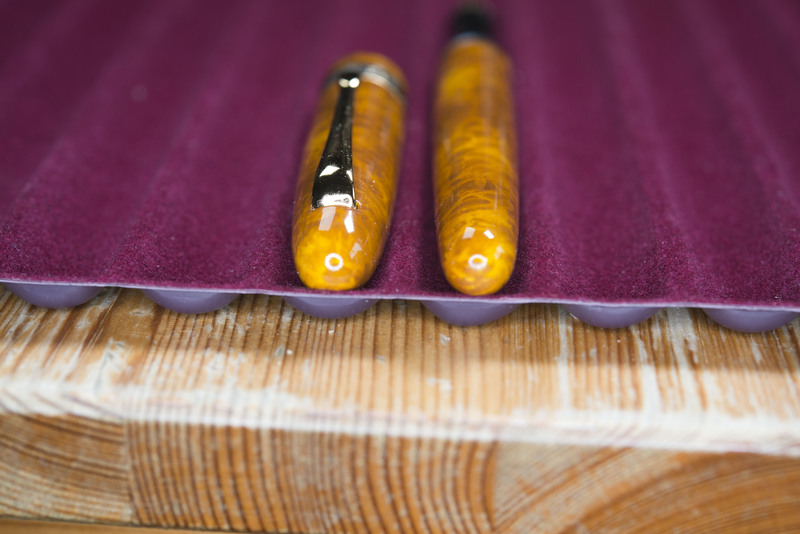 This might seem on the high side, but remember most of the options require grinding by Peter Ford himself and also all the nibs will be tested. 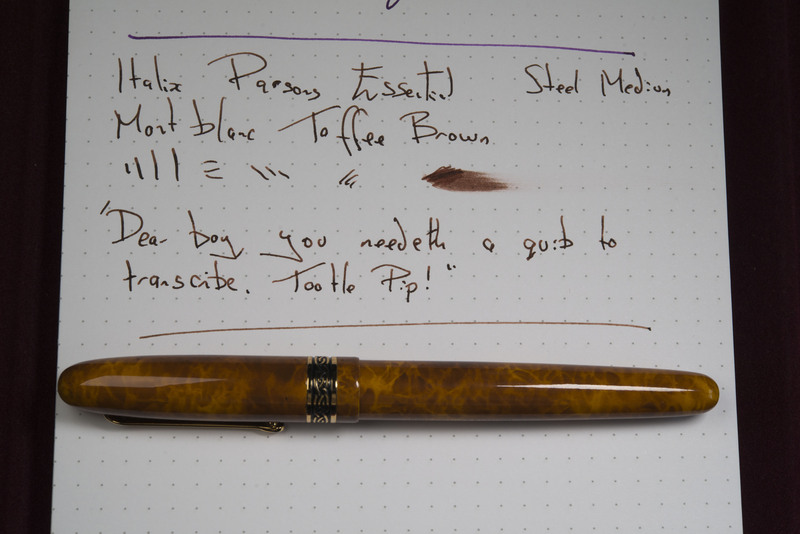 Note the brown/rust you see in the photos below is actually from the ink, Montblanc Toffee Brown. I do not have the pen box for obvious reasons, however I do know it came with a Schmidt converter (which had been swapped in to another pen, hence the different one here) and I assume cartridge or two as well. 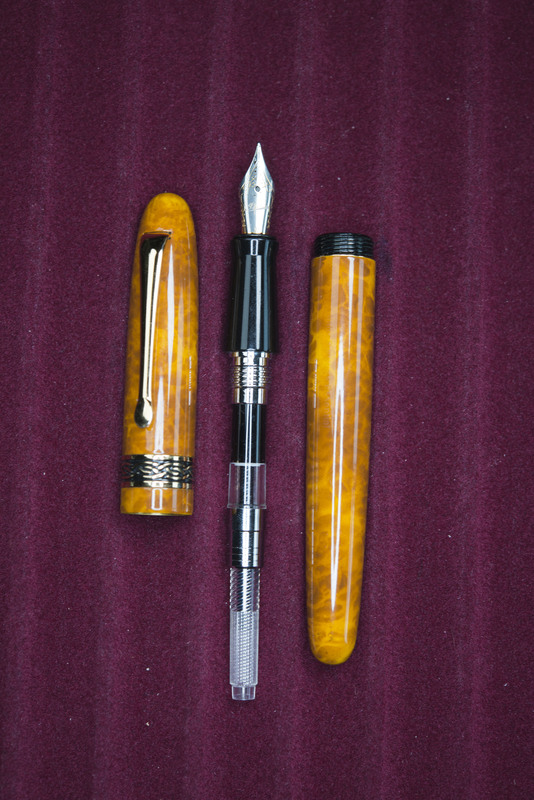 There are 27 steel nib options, plus a medium 18k gold nib for £90 more. 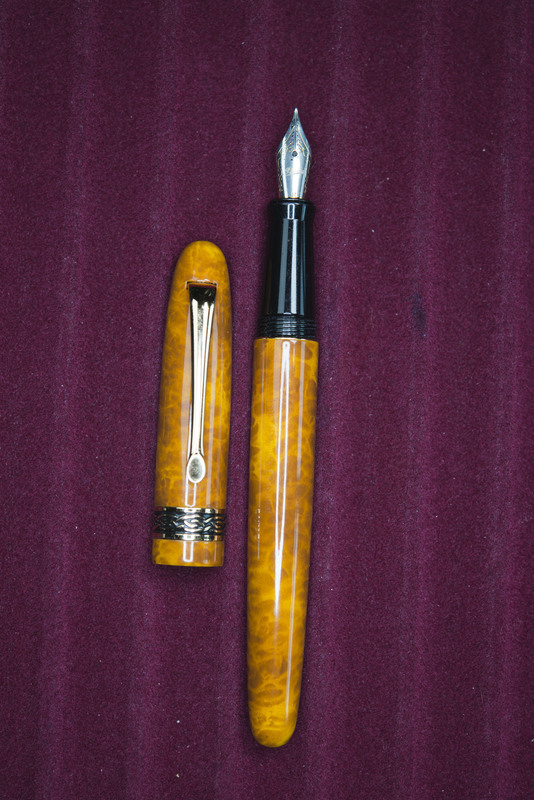 At present the pen is £45 on the website. For me I am in two minds about the Parson’s Essetnial. As a starter pen it is a very good choice, especially for a kid where only the nib is really the only risk and that should be able to take a fair amount of pressure and abuse. Again, for some one with a small collection, it does make a smart addition. For me the problems comes that it’s a little on the small side for me, but more importantly I have a habit of uncapping my pens and leaving them lying for a minute or two. Normally this is not a problem, but on this pen it is. I might just be unlucky with this specific pen, after all I do have a couple of others with JoWo #5 nibs in them which do not suffer from the same problem. Certainly the flow is fine when in use. 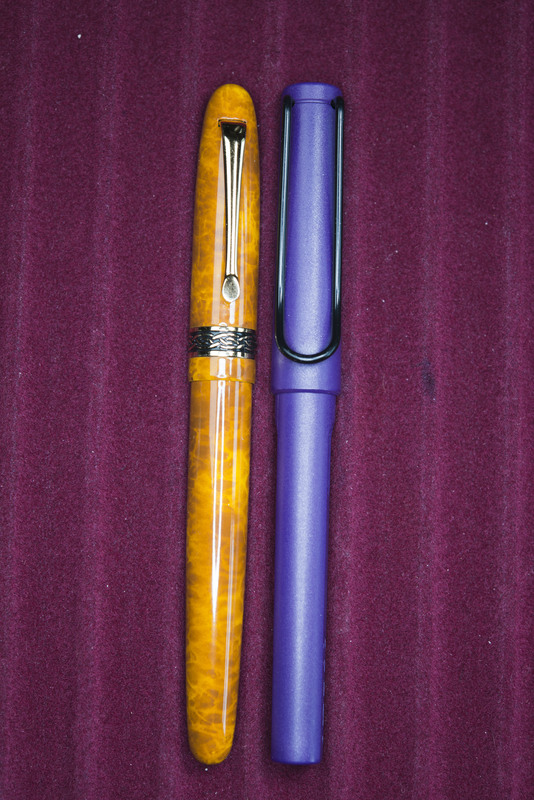 Additionally, with a growing collection of pens I do not see where this would fit in or when I would use it. A few years back it would not be an issue, but now it would be. Sure it’s cheap and good value for money, so not much of an expense to be left unused, but I like to think I will re-use many of the pens in my ownership. 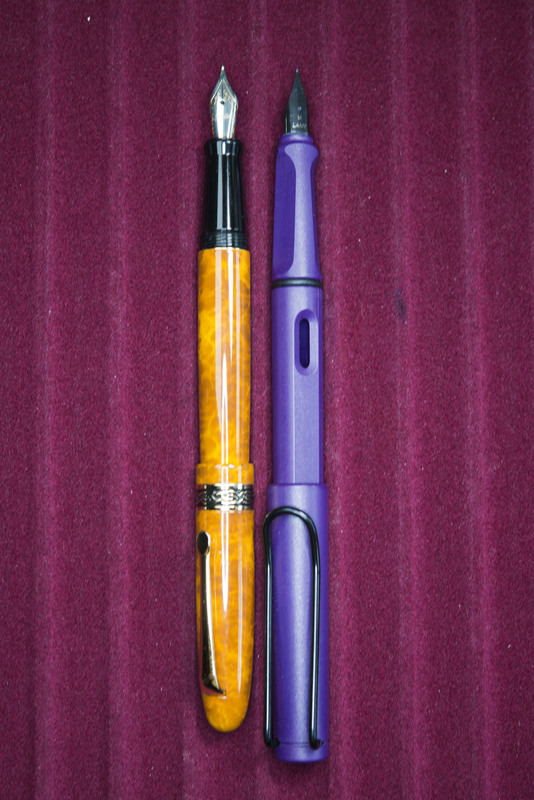 Net result is, I will not be buying one for myself, however I would seriously consider one as a first time/early fountain pen gift for a friend. Nibs tested and tuned before going out. 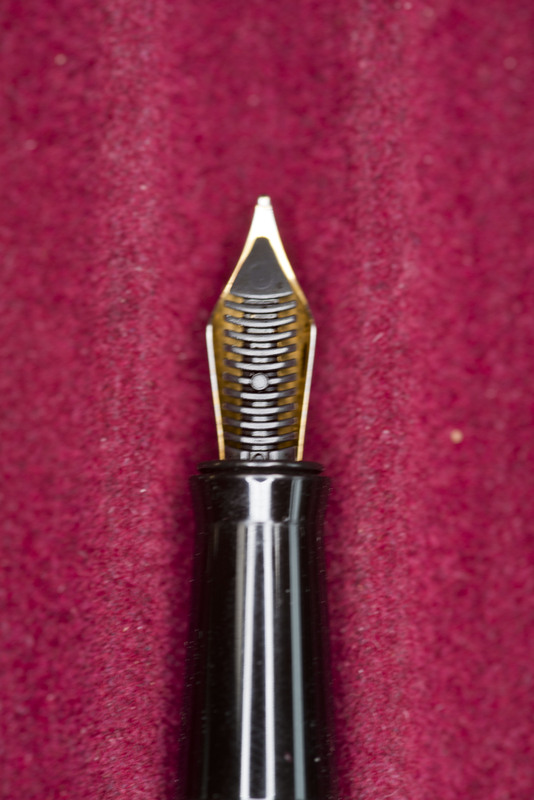 Nib guidance can be given if you ring Mr. Pens. Nib units can be easily unscrewed and replaced. Barrel step is annoying (for me). Nib dries out quickly (might just be this one). Once more, thanks to Rupert for lending me this pen for several months. A great review, thorough and fair. If I remember rightly this was one of the first pens that I bought online and I did get good use from it. It is great value. Perhaps the best selling point is the huge choice of nib options from Mr Pen, although most people go for the medium.